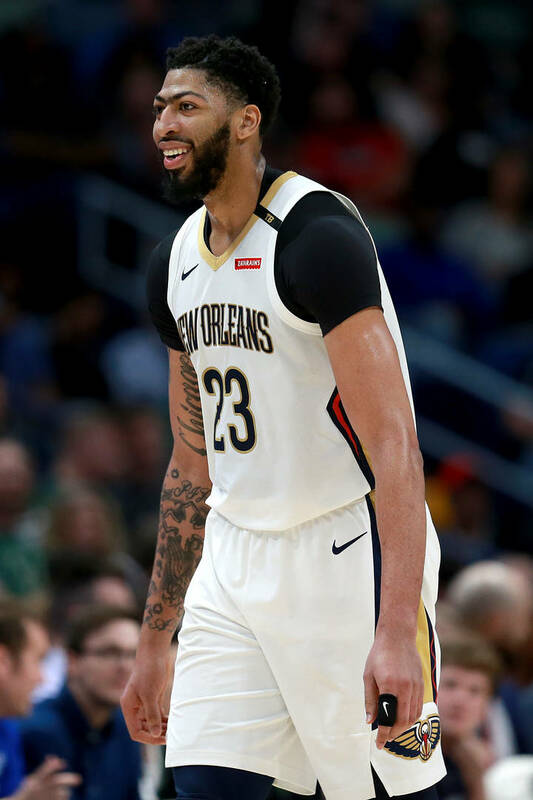 Anthony Davis Doesn't Regret Trade Request: "It's Over With Now"
Home>Sports> Anthony Davis Doesn't Regret Trade Request: "It's Over With Now"
Davis is waiting for what the future holds. Anthony Davis had a wild year in New Orleans. After the Pelicans got off to a less than adequate start to the season, it was clear that AD wanted out of the city. His trade demands became very public and the team ended up in a war with the Los Angeles Lakers as the purple and gold were willing to give up half their roster for Davis. The trade never came to fruition and Davis was stuck in NOLA. During a press conference on Wednesday, Davis was asked about the possibility of playing in New Orleans next year. While he'd rather be traded, Davis knows there is a real possibility he'll have to stay. "I'm under contract still," Davis said according to ESPN. "I have a year left. Obviously it's a possibility it could happen. I don't have ill will towards anybody. I know that it's a possibility that next year I could be here as well. So I can't be mad if I'm here next year." Davis also said that he loved his time playing in New Orleans. He also explained what his next steps are as the offseason approaches. "Seeing what happens," Davis said. "Seeing who the Pelicans make their GM and having a conversation with that person about the future. My time here has always been great. I love playing here. It's something that I will definitely hold in my heart forever, but the next step is waiting on the Pelicans [to fill] that GM job." AD made waves last night as he wore a "That's All Folks" shirt to the last game of the season. Check out why he decided to wear that shirt here. Wale Joins "Go-Go" Preservation Protests In Washington D.C.
SPORTS Anthony Davis Doesn't Regret Trade Request: "It's Over With Now"